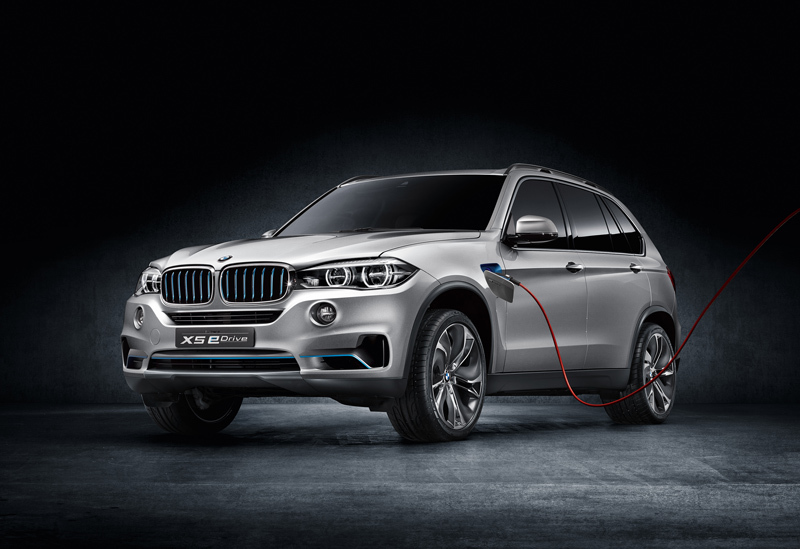 BMW Wants To Sell 300,000 More Electrified Vehicles In Two Years. Just last week, the BMW Group celebrated meeting its sales goal of 100,000 electrified vehicles in 2017. When he was certain that sales of BMW i, iPerformance, and Mini Electric vehicles would exceed the magic number, BMW AG Board of Management Chairman Harald Krüger threw the switch to light up BMW's "four-cylinder" headquarters as a bundle of four batteries. The effect was rather spectacular. 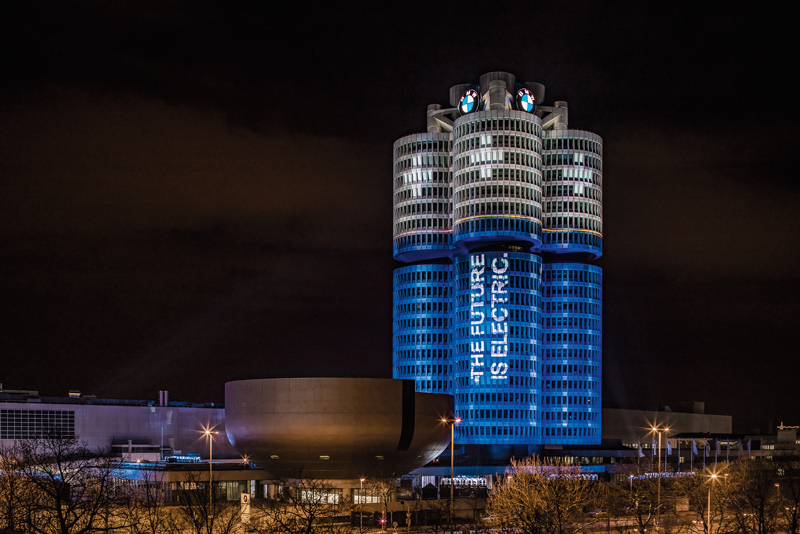 We're wondering what the BMW Group headquarters building will look like at the end of 2019 if the company hits Krüger's new target of cumulative sales of 500,000 electrified vehicles by then. According to the German weekly paper WirtschaftsWoche, that is Krüger's new goal: 500,000 total electrified BMW Group deliveries within the next two years. To be clear, the new goal is not to sell a half-million more electrified BMWs and Minis by the end of 2019; but to sell about 300,000 over the next two years to make the total score 500,000 by December 2019. Since the first BMW i car—the BMW i3—was sold in 2014, the BMW Group has delivered about 200,000 electrified vehicles as of the end of 2017. That means to hit 300,000 by the end of 2019, the company needs to sell 50,000 more electric and plug-in hybrid vehicles each year than it did in 2017. That's a tall order, but BMW's electrified vehicle sales trend is pointing up in most world markets. We all know that Krüger has promised us a model lineup of 25 electrified cars by the year 2025, with twelve of those being fully electric. One of those will be a fully electric Mini in 2019 and a pure electric BMW X3 in 2021, but neither of those, especially the X3, will probably help the company hit 500,000 by the end of 2019. 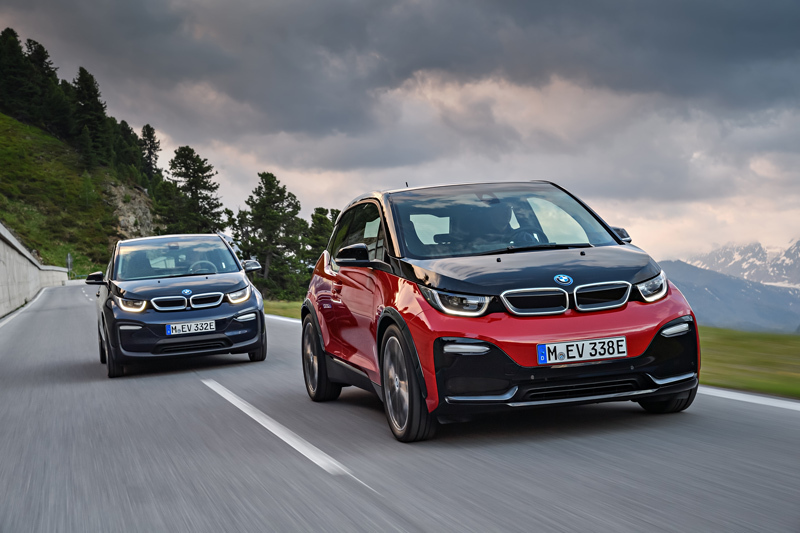 What will help are newer, more powerful BMW i3 and i8 cars with longer battery ranges, and more powerful batteries in the plug-in hybrid versions of the 2 Series Active Tourer, 3 Series, 5 Series, 7 Series, X5, and when it arrives next year, X7.